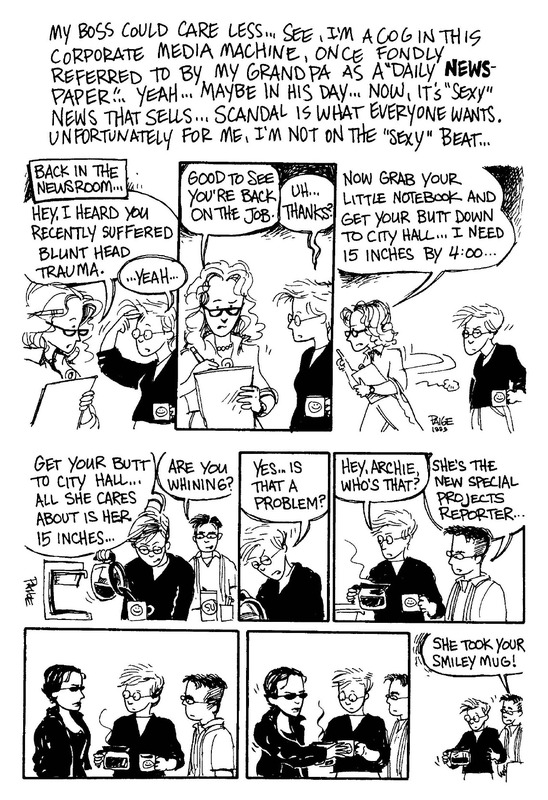 See, Jane had this great job at the newspaper. 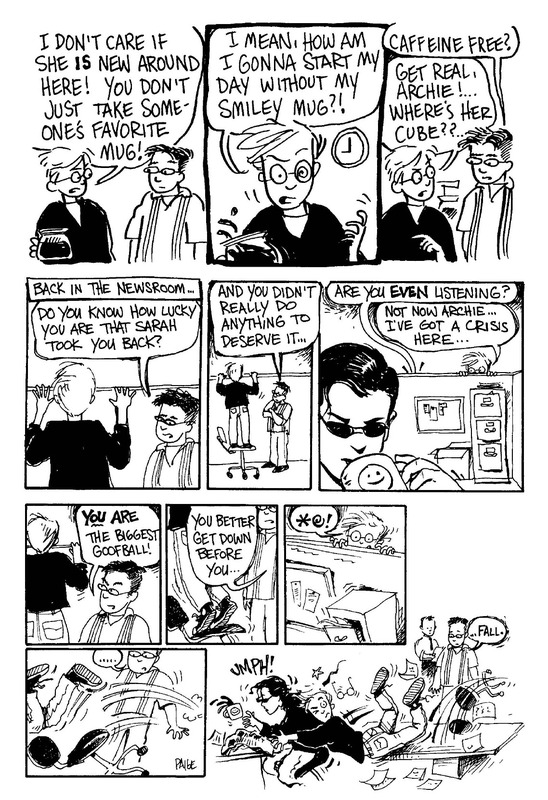 Well… it was a great job, but then you know how it goes with every job; it starts to be not so great. 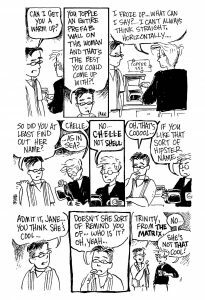 Or maybe it was never great, but Jane was just too green to know the difference. 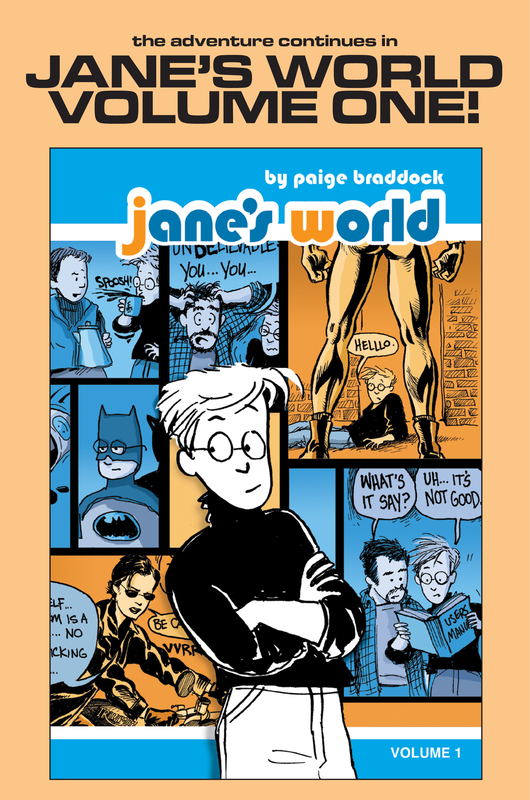 Meet Jane and the whole cast of characters in Jane’s World in this special preview edition of Paige Braddock’s beloved series. So what is evil? What makes a person a “villain?” Is it intent to harm…or is it something deeper than that? Each one of the thirteen authors in this amazing collection has taken a completely different approach to answering this question. They have gone above and beyond expressing the idea of evil and supervillainy. They get to the bottom of why villains are the way they are, and what they hope to gain from it. These are dangerous women wielding Absolute Power… and they’ll be glad to let you know exactly why you should fear them. 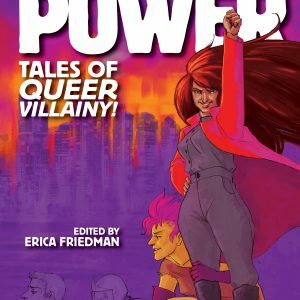 Cover by Agnes Czaja, introduction by lesbian comics tastemaker Erica Friedman. 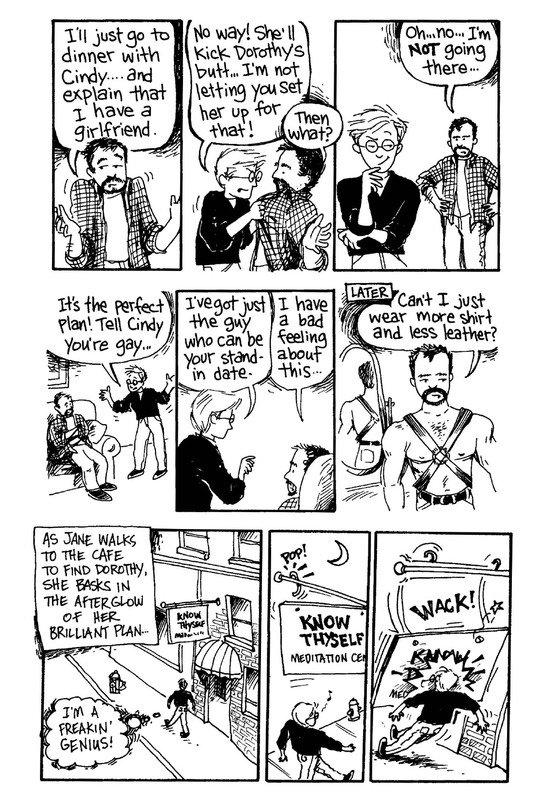 Three #3, published with the aid of the Prism Comics Queer Press Grant, brings you all-new queer comics goodness, starting off with an 8 page Wuvable Oaf tie-in story by Ed Luce; “Fly Like an Eagle,” from Carrie McNinch, which tells of her stoner-teen high school years back in 1979 Los Angeles; and “Oh No!” a crazy, very funny all-star comics jam instigated by Jen Camper, featuring Jen, Ivan Velez, Jr., Howard Cruse, Diane DiMassa, Ellen Forney, Joan Hilty, and editor Robert Kirby. 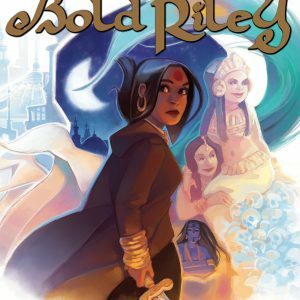 Leia Weathington’s sword-and-sorcery epic The Legend of Bold Riley is illustrated by Leia and a host of talented artists. “Who is Bold Riley?” you might ask. She has hunted the wildest game and dallied with countless beautiful girls, but still longs to know the world beyond the city walls. 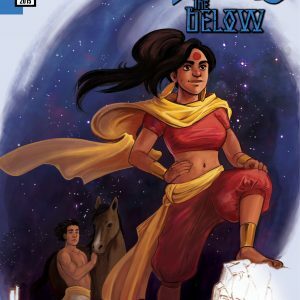 Princess Rilavashana SanParite, called Bold Riley, leaves behind her station and sets out to travel through distant lands and find forgotten ruins, fearsome enemies, inscrutable gods and tragic love. 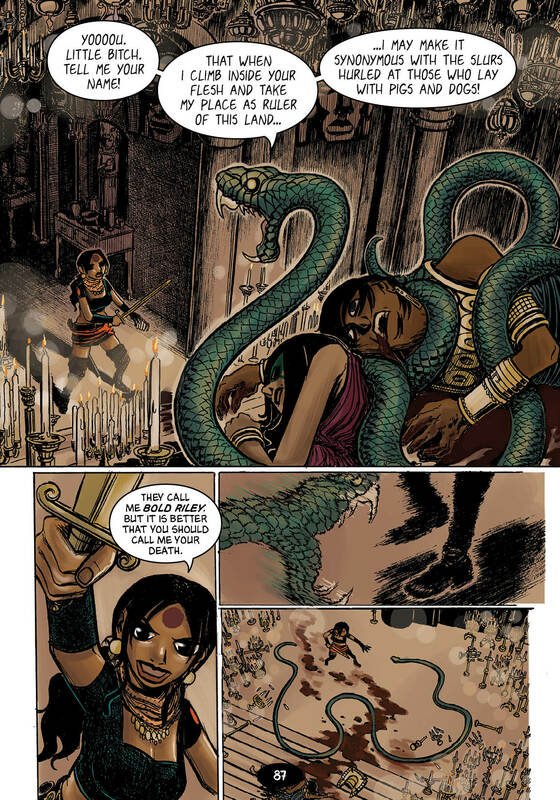 She’s as capable with a sword as she is with her wits—man, does she carve things up when the need arises—and is a strong, beautiful, confident woman who doesn’t wear a bikini into battle. 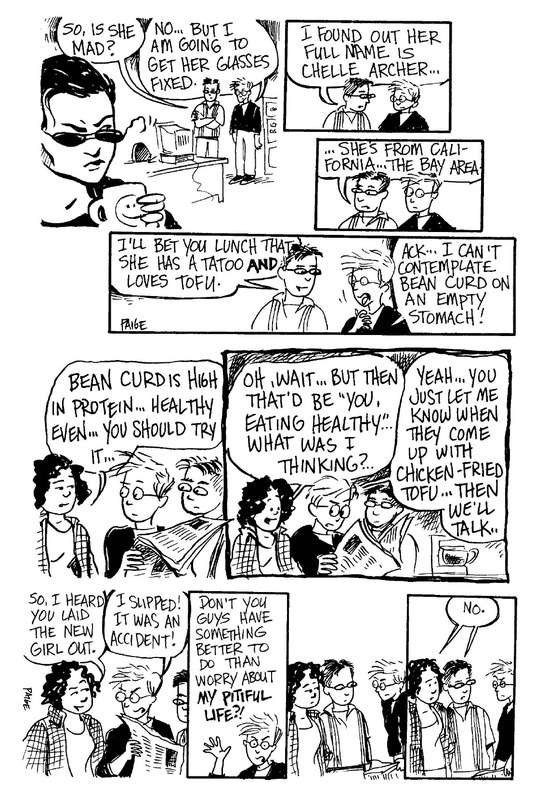 And she always gets the girl! 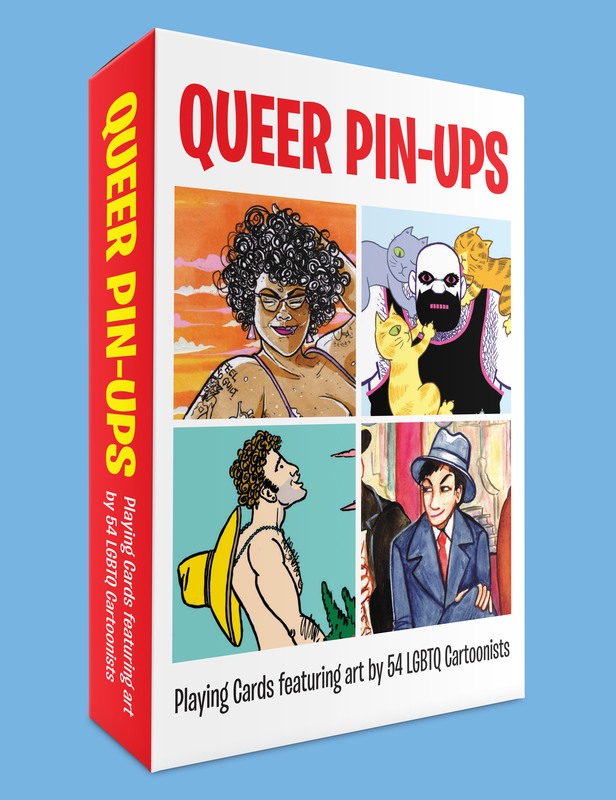 Created by Leia Weathington, with art by Weathington, Marco Aidala, Vanessa Gillings, Kelly McClellan, Konstantin Pogorelov and Jason Thompson. Cover artwork by Brinson Thieme. 232 pages. 7″x10″. Full-color with metallic ink cover. 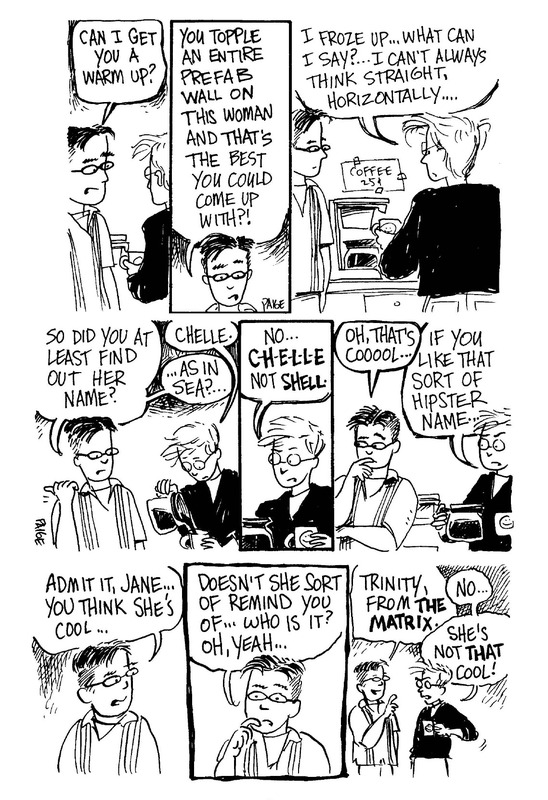 Retailers! 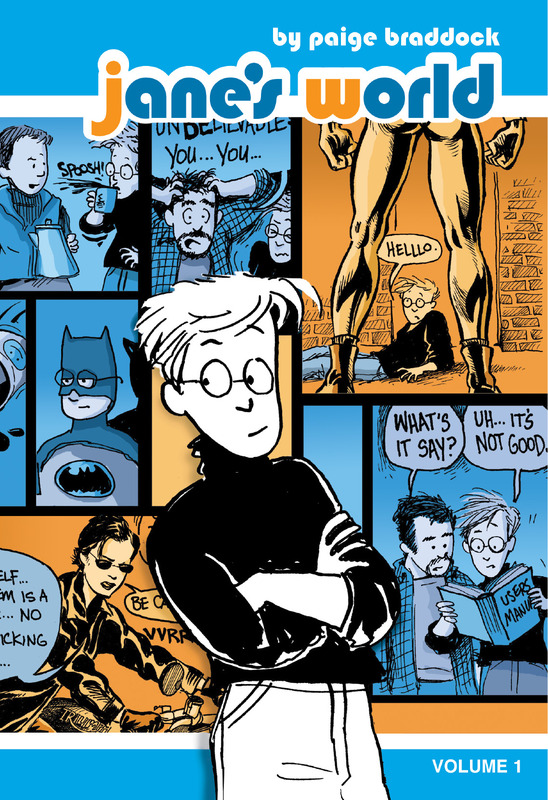 Download a Bold Riley Promotional Display that highlights the foreword by fan-favorite writer Jane Espenson and helps encourage customers to check out the book. You can download a 67-page preview of the book in PDF or EPUB (iPad-only) format right here on the site. The preview includes excerpts from four of the stories in the book, bonus artwork and more. 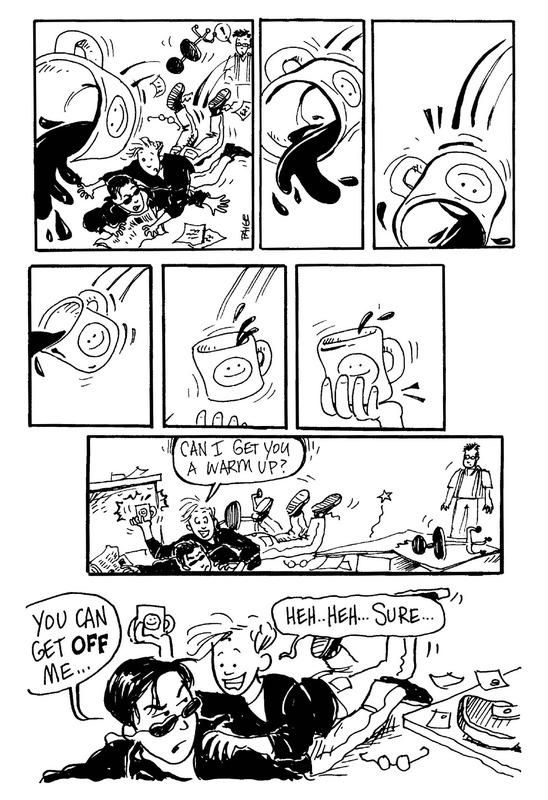 Winner of the 2014 Ignatz Award for Outstanding Anthology! 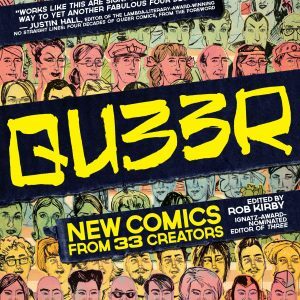 QU33R, from editor Rob Kirby, features 241 pages of new comics from 33 contributors—legends and new faces alike. 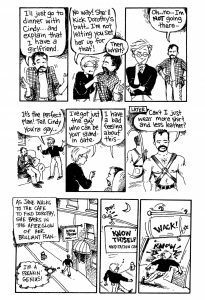 In 2012, Justin Hall edited a book called No Straight Lines: Four Decades of Queer Comics, that took readers on a journey from the beginnings of LGBT comics history to the present day. 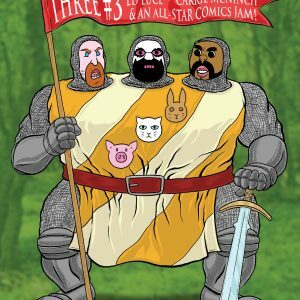 QU33R is an all-new project featuring queer comics legends as well as new talents that picks up where No Straight Lines left off. We’ve set down our history, now QU33R shines a light on our future! 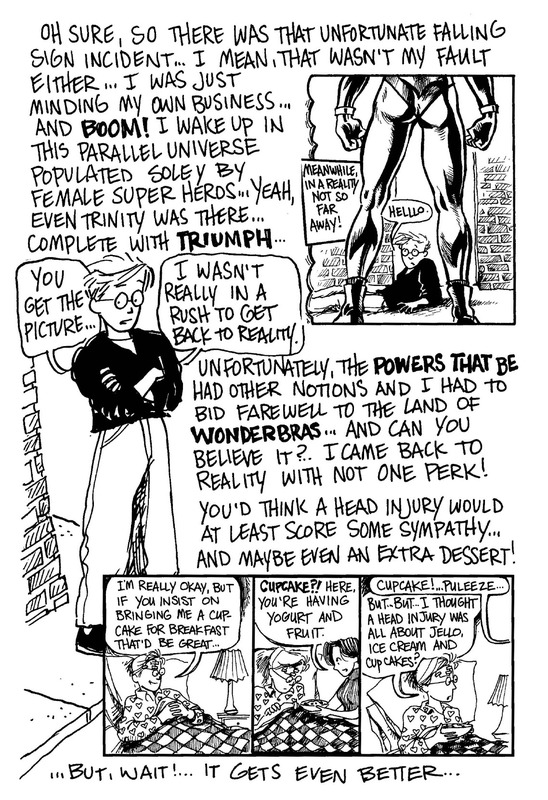 QU33R had its genesis in an all-color queer comic zine called THREE, which featured three stories by three creators or teams per issue. 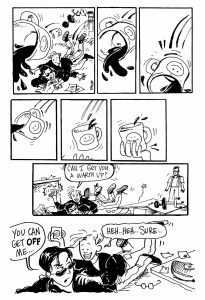 Rob Kirby published three installments of THREE annually from 2010 to 2012, and the series did well, garnering not only an Ignatz nomination for Outstanding Anthology or Collection but also earning Rob the Prism Comics Queer Press Grant in 2011. 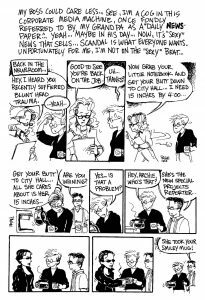 Producing the anthology was immensely gratifying, but featuring just three comics and publishing only once per year meant a lot of cartoonists weren’t getting the exposure they deserved. 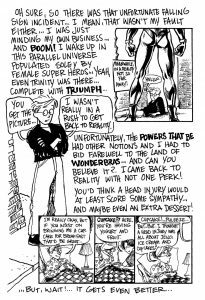 The publishing opportunities for queer cartoonists and queer subject matter are still limited, even today, and Rob longed for a wider distribution than he was able to manage on his own. 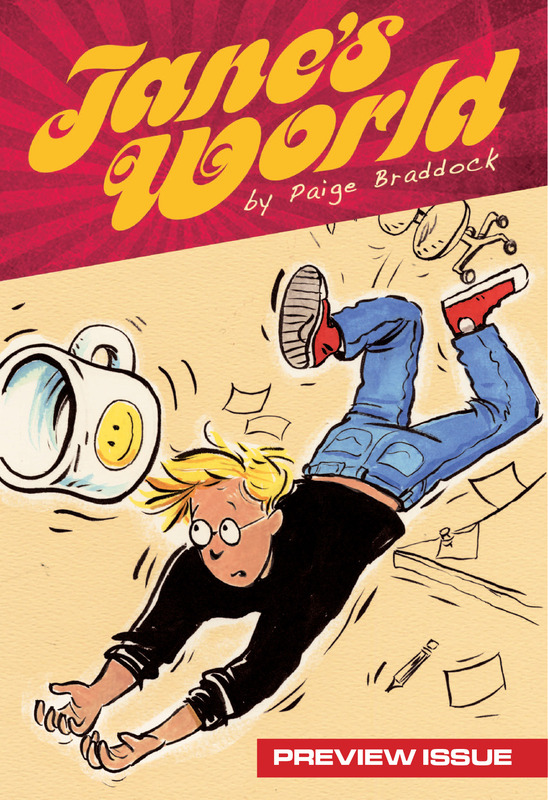 He approached Northwest Press about doing a bigger compendium of all-new work. 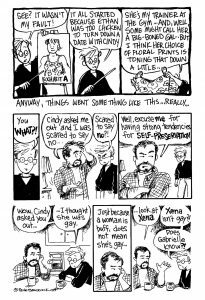 While THREE was happening, Justin Hall was preparing his book No Straight Lines: Four Decades of Queer Comics, which Fantagraphics published in the summer of 2012. 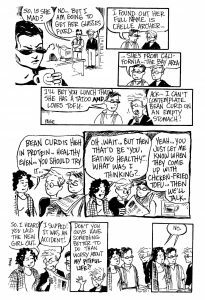 No Straight Lines traced the history of queer comics from their humble beginnings in the late 60’s/early 70’s all the way up to the present. The book was a whopping, award-winning success. 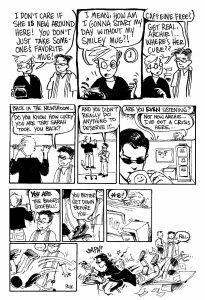 Rob got to thinking that a follow-up volume—a sort-of-sequel focusing on all new work—would seal the deal, informing the world at large that we are still here, still queer, and still producing fresh and innovative work. 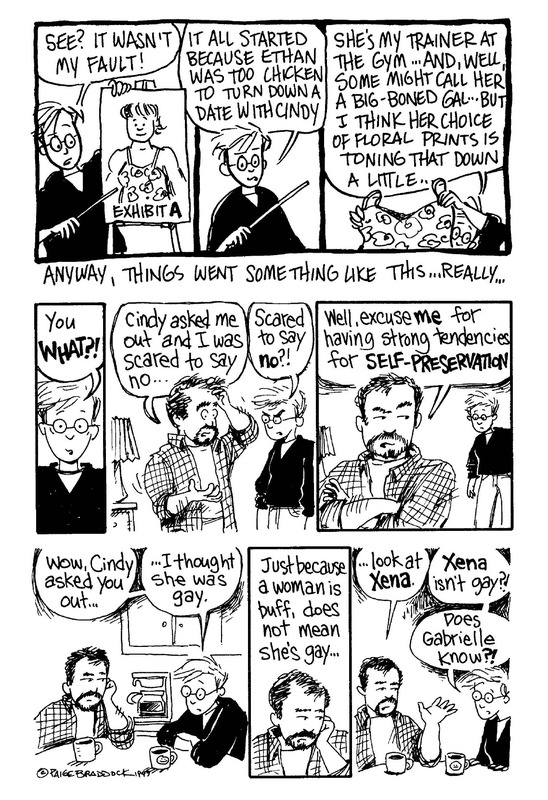 He wanted to include not only several queer comics veterans, but also some fresh new faces and a few folks who haven’t necessarily belonged to the orthodox “queer comics scene” but have been doing non-heteronormative work all along. 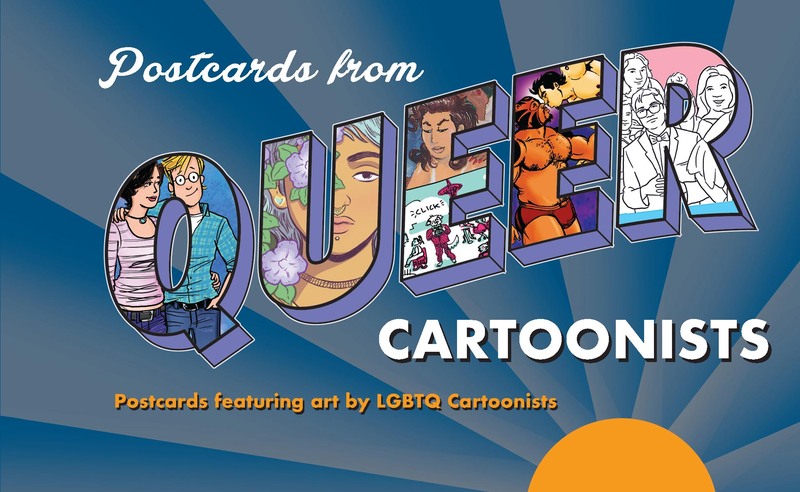 QU33R features over 240 pages of new comics from a cross-generational lineup of award-winning LGBTQ cartoonists. A roadside storyteller and an embarrassing cultural misunderstanding find Bold Riley and her traveling companion Swift Kuba in these two short stories.